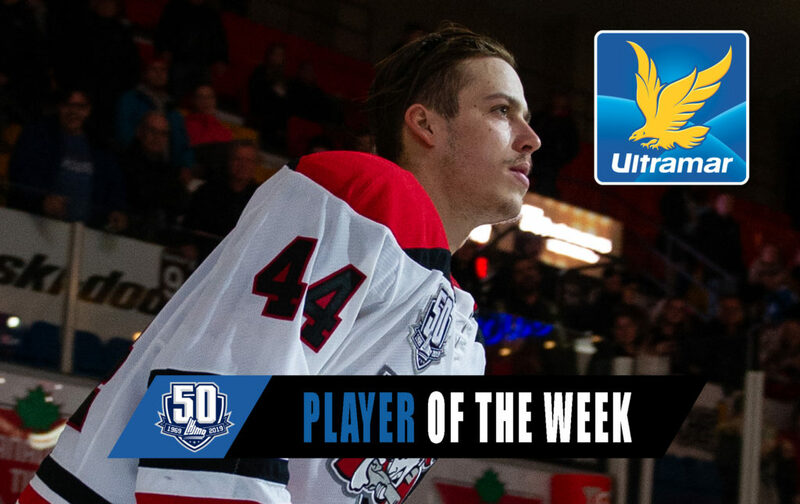 The latest Ultramar Player of the Week is Drummondville Voltigeurs winger Maxime Comtois. 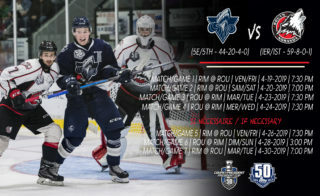 In four games, the talented forward from Longueuil, Quebec scored nine goals and added seven assists as the Voltigeurs went a perfect 4-0, extending their lead atop the Central Division standings. On Wednesday night at home, Comtois recorded his second hat trick of the season and added an assist in Drummondville’s 8-1 victory over the Sherbrooke Phoenix. For his efforts, the shifty Anaheim Ducks prospect was named the game’s first star. 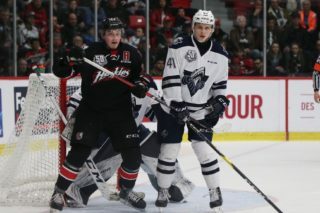 On Friday night in Victoriaville, Comtois opened the scoring against his former team, assisted on the game-winning tally and added some insurance with a late empty-netter as the Voltigeurs defeated the Tigres 4-1. Once again, Comtois was named the game’s first star. 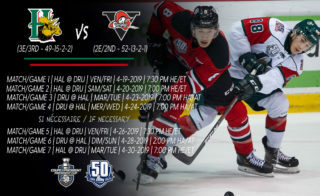 Facing the surging Cape Breton Screaming Eagles at home on Saturday night, Comtois continued his torrid pace by registering his second hat trick of the week, along with a pair of assists in a 7-2 Voltigeurs triumph. This time, Comtois, who would also finish the game with a +6 rating, was named the game’s second star. 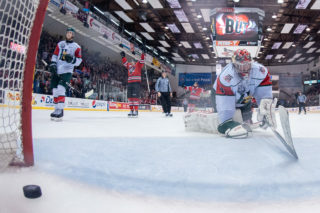 He would complete his outstanding week on Sunday afternoon at home against Shawinigan. For the fourth consecutive game, Comtois would deliver the game’s opening goal. 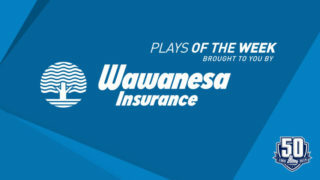 He would also go on to chip in with three assists in a 6-4 Voltigeurs win over the Cataractes. Again, Comtois would be recognized for his efforts, earning the game’s third star as the Voltigeurs won their eighth consecutive contest. This offensive outburst has brought Comtois’ season totals up to 32 points, including 18 goals, in 16 games. This has been a high-profile season for the fourth-year veteran. After starting the season in the NHL with the Ducks, he made his way to Drummondville in late November. 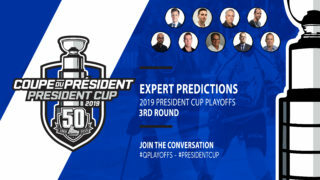 Shortly after his reassignment to the “Q”, Comtois was on his way to Vancouver, BC where he captained Team Canada at the 2019 IIHF World Junior Hockey Championship.